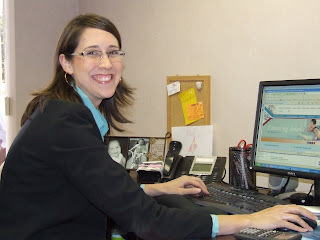 Nicolle Sherman, Community Financial Mortgage Specialist. If you’re thinking about refinancing your mortgage, now is a great time to apply. As a local mortgage expert, I’m here to help you reduce your monthly house payment. This may be done through refinancing at today’s historically low rates. At Community Financial Credit Union we’re offering a special Ten Year Streamline Refinance Program at a low rate that can help you save money. Our current 3.00% rate* is one of the lowest that I have ever seen. The mortgage process can be cumbersome and time consuming, however, our new program simplifies the process and we will work with you to help make things go smoothly. The Ten Year Streamline Refinance Program gives you a fixed rate term of 10 years* and is available on loans up to $250,000. Typically, closing costs range from $1,500-$2,200 on a full refinance; with our Streamline Program, if it is determined that an appraisal is not needed, the cost maybe as low as $750. To be eligible for this great program, a minimum credit score of 680 is required and the maximum we will finance is 80% of your home’s current market value. Remember, at Community Financial, your mortgage is safe. We will always service your mortgage and we take care in assisting you with any needs throughout the life of your loan. We’re here to help you with a variety of mortgage options. If you are looking to purchase a new home, visit my previous post on What To Know When Buying A Home. You may also visit our Mortgage Center online to check out current mortgage rates. *Payment Example: The monthly payments on a streamline mortgage loan of $150,000 at 3.00% for 120 months would be about $1,448.41. The Annual Percentage Rate (APR) on the loan would be 3.10%. Community Financial is an equal housing lender.